This is an apartment style hotel, so I had a living room, bedroom, 2 TVs, kitchenette with cooktop, fridge & dishwasher and even an washer/dryer. I was able to buy groceries close by and prepare my own food which saved money. Everything was clean and very comfortable. The neighborhood feels safe and there are lots of restaurants and shopping available. A close walk to many attractions such as Brandenburg Gate, Reichstag Building & many memorials. Lots of food/cafe/coffee near by with a park across the street and the U2 Mendelsson Station located next door. One of the best "surprise" features was the free use of a cell phone which had maps & attractions, making it super easy to navigate around without incurring roaming charges from my local provider. We were travelling with our 3mths old baby and we requested several things. They prepared all our requests before we arrived. Very happy with our stay. Perfect location, very comfortable beds, super shower, very clean and friendly staff. Everything is superb , new and nice , attention to all details and offering everything one might need in the room , the front desk people are the nicest I've ever met especially the two young ladies, the location is great too. Great location, nice apartment with everything you need for a short stay. Comfortable bed and an excellent bathroom. 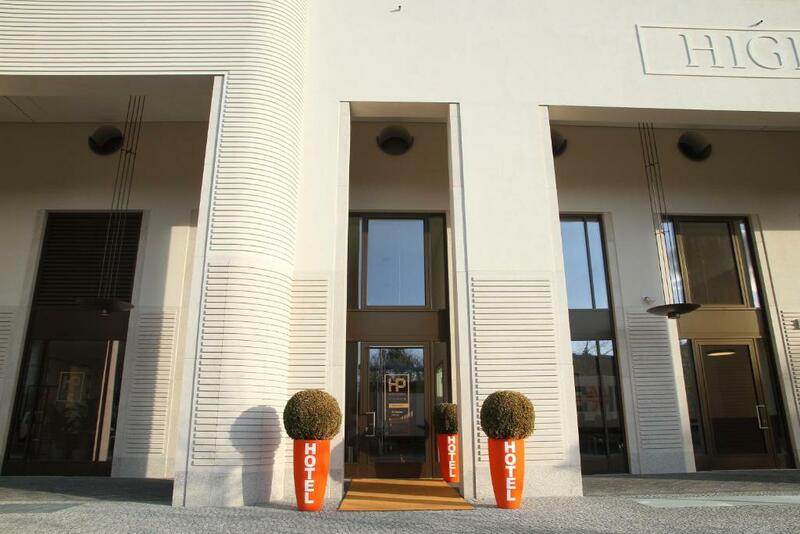 The hotel is perfectly located, very close to the city center, U bahn is just around the corner, S bahn is in 5 minutes walk. The room was clean and well equipped. Everyday cleaning was also good. We enjoyed our stay in HighPark by Palmira, would be happy to stay there again with our next visit to Berlin! Metro is right next to the hotel. It is located in quet area. We loved our stay here. We had coffee and tea that was free,so we were making it every morning,and that was a nice touch. We had everything that we needed. I would stay here again if I come to Berlin. The staff was great,they printed our boarding pass,and also the fastest route to airport. Thanks. Lock in a great price for HighPark by Palmira – rated 9.2 by recent guests! HighPark by Palmira This rating is a reflection of how the property compares to the industry standard when it comes to price, facilities and services available. It's based on a self-evaluation by the property. Use this rating to help choose your stay! HighPark by Palmira is located just off Potsdamer Platz in Berlin’s central Mitte district. It is within a 15-minute walk of attractions such as the Brandenburg Gate, Holocaust Memorial and Topography of Terror. Occupying the first 3 floors of a modern building, HighPark by Palmira offers high-end suites, studios and apartments with free WiFi and additional services. All units feature ergonomic furniture, comfortable beds with orthopedic mattresses, a small fully equipped kitchen as well as free toiletries. Most units also have a balcony. Many shops, cafes and restaurants can be found nearby. 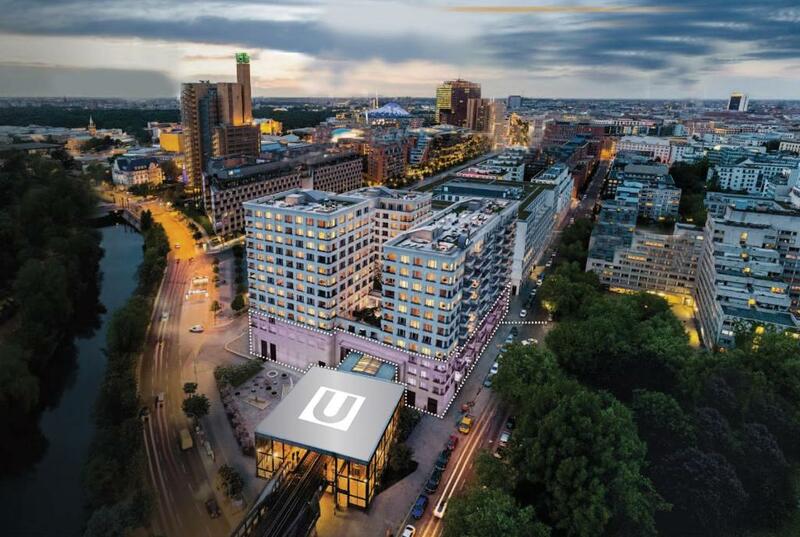 The nearby Potsdamer Platz offers excellent access to public transport across Berlin, by bus as well as the U2 underground line or suburban train routes. Checkpoint Charlie is a 20-minute walk from HighPark by Palmira, and Tegel Airport is just 6.2 mi away. 뀐 Located in the top-rated area in Berlin, this property has an excellent location score of 9.3! 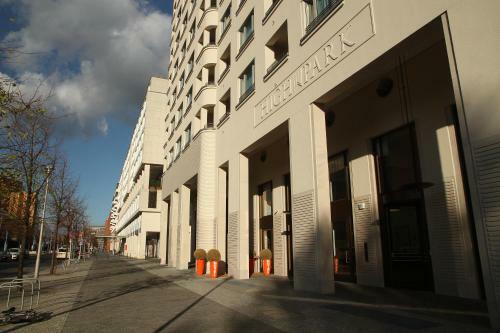 When would you like to stay at HighPark by Palmira? Fully furnished studio with a small kitchen, double bed and free WiFi. Fully furnished apartment with a kitchen and free WiFi. Fully furnished suite with a kitchen and free WiFi. Fully furnished studio with a small kitchen, twin beds and free WiFi. Апарт-отель HighPark by Palmira – комплекс апартаментов категории 4 звезды, расположенным в деловом и туристическом центре города, в районе площади Потсдамер-плац. Потсдамская площадь в Берлине – это узел основных транспортных маршрутов и главный центр торговли, район локализации крупных бизнес-центров, офисов международных компаний, концертных и выставочных площадок, ресторанов и бутиков, а также ключевых городских достопримечательностей. Основная идея проекта – SMART-концепция, позволяющая сочетать премиальный сервис и максимальную функциональность по доступной цене, выгодно выделяющей комплекс в своём сегменте. К Вашим услугам – 58 современно оснащенных, эргономичных номеров, предлагающих всё необходимое для обеспечения комфорта в туристической или бизнес-поездке, а также широкий спектр дополнительных услуг для деловых и индивидуальных путешественников. Area Info – This neighborhood is a great choice for travelers interested in history, museums and monuments – Check location Excellent location – show map Guests loved walking around the neighborhood! House Rules HighPark by Palmira takes special requests – add in the next step! HighPark by Palmira accepts these cards and reserves the right to temporarily hold an amount prior to arrival. Front office working hours from 07:00 to 01:00. Please inform HighPark by Palmira of your expected arrival time in advance. You can use the Special Requests box when booking, or contact the property directly using the contact details in your confirmation. No complaints. This was a lovely hotel and luxurious by my standards. Clean, close to transport and shops. Great staff, very helpful. Loved the slippers and robes. Quiet and comfortable! Cleaning was generally good, though the floors were quite dirty I’m corners / under bed, etc. Super comfy bed, great shower and nice and quiet location beside the train. Also having a smart tv with Netflix was great for lazy evenings! Superbly clean. Comfortable. Modern. Great location. Fabulous value. Friendliness of the staff, room and location. The room it was very very good and full of amenities ( fridge, dish wacher , laundry machine, microwave oven, hair dryer, coffe). The room has very good insonorisation from the outside. The final touch it was the smartphone provided by the hotel with tours and google maps,etc for free. you can use it to get directions when visiting the city. The only thing that could have possibly made it better was a water kettle for hot water for tea. Perfect staff. Kind, friendly and helpful. Just ask what you need. Also Thank you for early checkin and corner room. The tv is smart, you can use your netflix. fast internet. The bed was great! Has a kitcenette and Washer. Wifi was down for one day. Not sure if that happened often. Everything is perfect. The house keeping service really tidied up everything perfectly everyday.